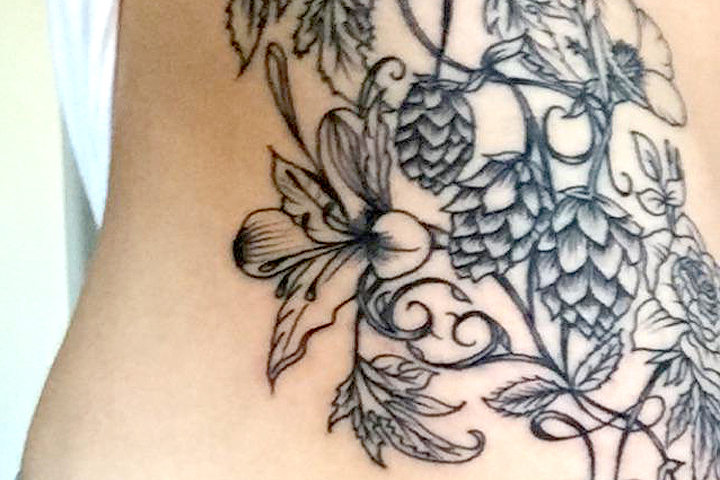 A combination of botanical elements were drawn together as a whole in this tattoo illustration. 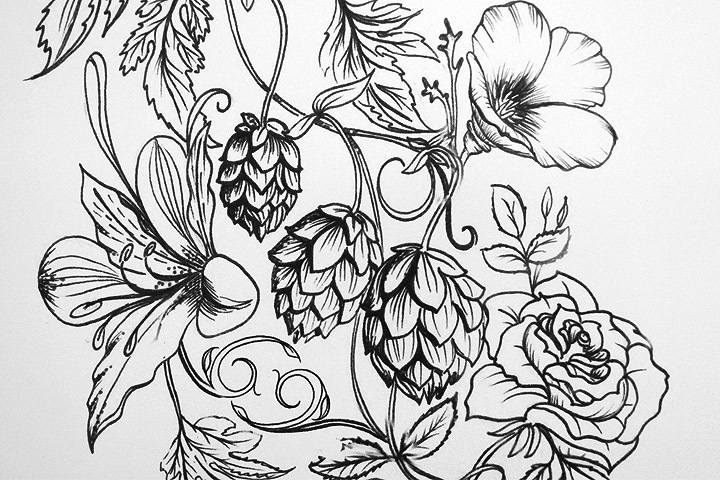 With a hop vine as the base, several other floral designs were woven amongst the vines, each with their own special meaning. Tattooed by Karissa at Kawbi Tattoo in Salem, Oregon.